When you are looking for mental health employment opportunities in the substance abuse field, there are not many that will allow telecommuting. However, that does not mean that there are none. If this is something that you would like to pursue, here are some tips on finding telecommuting-friendly jobs. This doesn’t sound like it would be possible does, it? I mean, most jobs in mental health employment, particularly in substance abuse, require that you be working face-to-face with clients. This is true but not all of them. 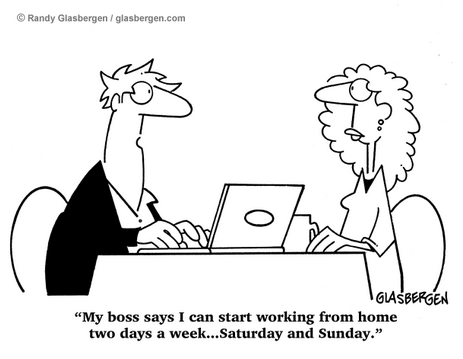 I personally know several people who work at home most, or all, of the time and work in the substance abuse field. They may do such things as social media marketing for a company, website development, business development, or billing and records keeping. If these are the sorts of things that you are interested in, keep reading. The first thing we need to talk about are scams. We did an article awhile back about online job search scams. If you are interested in working from home, there are a ton of scams out there that will make this sound like a piece of cake and something that you can start doing today. It isn’t that simple so don’t fall for it. The second thing that you need to know is that there ARE jobs out there. There are over a half a million telecommuting jobs listed on Indeed.com (check out our Home Page) right now. There are less if you add in mental health, but they are there. Remember, if they are telecommuting jobs, they don’t necessarily need to be located in your city or state for them to be viable positions. Finally, if you are interviewing for a position or have been hired for a position that you think could possibly be done just as efficiently from home, consider opening a dialogue with your employer about it. It’s best to do this if you have made an outstanding impression or have already established a solid relationship with the company. Consider that there is negotiating room in here as well. Many employees are willing to take a small cut in pay to reflect that they no longer need to commute on a daily basis, put wear and tear on a vehicle and potentially pay for daycare. While telecommuting friendly jobs in mental health employment are not plentiful as in some other industries, they are out there if you know how to search for them and how to ask for them. Good luck.